Myra Piat’s research program aims at furthering our knowledge on the development of best practices around mental health recovery, housing, homelessness for people with psychiatric disabilities and knowledge translation. 1)For the past three years, she has co-led the Qualitative National Team of the At Home/Chez Soi project. This is a Canada-wide randomized controlled trial comparing the Housing First approach with treatments usually given to homeless individuals with mental illness and substance abuse disorders. 2)She is developing and evaluating a user-friendly tool kit on Housing First to facilitate knowledge transfer with Canadian and international stakeholders. 3)She is developing and implementing a province-wide knowledge translation program on Eating Disorders for primary care service providers in local CSSSs.  4)She is participating in a knowledge translation project on mental health recovery and the development of a community of practice on recovery in Quebec and in Canada. 5)She is evaluating a community peer support program. 6)She is contributing to a Mental Health Commission of Canada (MHCC) study on how social businesses influence the stigma of mental illness. 7)She is developing participatory research in Belize on the implementation of recovery-oriented and peer support services. Aubry, T., Ornelas, J., PIAT, M. & Bradshaw, C. (2014). Investigating the Implementation and Effectiveness of HF as Strategy to Ending Chronic Urban Homelessness in Canada and Portugal, International Colloquium « Intra-Urban Dynamics and Health », Université Paris Ouest Nanterre La Défense, Paris, September 2013. Piat, M., Boyer, R., Fleury, M. J., Lesage, A., O'Connell, M., & Sabetti, J. (2015). Resident and proprietor perspectives on a recovery orientation in community-based housing. Psychiatric Rehabilitation Journal, 38(1), 88-95. PIAT M., Polvere, L., Kirst, M., Voronka, J., Zabkiewicz, D., Plante, M.-C., Isaak, C., Nolin , D., Nelson, G., Goering, G. (2014). Pathways into Homelessness: Understanding How Both Individual and Structural Factors Contribute to and Sustain Homelessness. Urban Studies, 1-17. http://usj.sagepub.com/content/early/2014/09/09/0042098014548138 doi:10.1177/0042098014548138. PIAT, M, & Polvere, L. (2014). Recovery-oriented Mental Health Policies: Implications for Transformative Change in Five Nations. In G. Nelson, Kloos, B., Ornelas, J. (Eds), Community Psychology and Community Mental Health: Towards Transformative Change (pp. 432). New York, NJ: Oxford University Press. PIAT, M. & Lal, S. (2012). Service Providers' Experiences and Perspectives on Recovery-Oriented Mental Health System Reform. Psychiatric Rehabilitation Journal, 35(4) 289-296. PIAT, M., & Sabetti, J. (2012). Recovery in Canada: Toward Social Equality. International Review of Psychiatry, 24(1) 19-28. PIAT, M., Boyer, R., Cloutier, S., Fleury, M. J., & Lesage, A. (2012). Les conditions d'hébergement favorables au rétablissement : perspective des usagers et usagères. Revue canadienne de santé mentale communautaire, 31(1), 67-85. PIAT, M., Sabetti, J., Fleury, M. J., Boyer, R., & Lesage, A. (2011). "Who believes most in me and in my recovery": the importance of families for persons with serious mental illness living in structured community housing. Journal of Social Work in Disability & Rehabilitation, 10(1), 49-65. PIAT, M., Sabetti, J., & Bloom, D. (2010). The transformation of mental health services to a recovery-orientated system of care: Canadian decision maker perspectives. International Journal of Social Psychiatry, 56(2), 168-177. PIAT, M., & Sabetti, J. (2009). The development of a recovery-oriented mental health system in Canada: What the experience of Commonwealth countries tells us. Canadian Journal of Community Mental Health, 28 (2), 17-33. PIAT, M., Sabetti J., Couture, A., Provencher, H., Sylvestre, J. & Botschner, R, J. (2009). What does recovery mean for me? : Perspectives of Canadian mental health consumers. Psychiatric Rehabilitation Journal, 32 (3), 199-207. PIAT, M., Boyer, R., Lesage, A., Dorvil, H., Couture, A. & Bloom, D. (2008). Housing for persons with serious mental illness: Consumer and service provider preferences. Psychiatric Services, 59 (9), 1011-1017. PIAT, M., Lesage, A., Dorvil, H., Boyer, R., Couture, A. & Bloom, D. (2008). Les préférences résidentielles des personnes souffrant de troubles mentaux graves: une étude descriptive. Santé Mentale au Québec, 33 (2), 247-269. - and the perspectives of the key stakeholders. Most recently she has been working on knowledge translation processes involving clinicians, community mental health service providers at local Community Health and Social Service Centres (CSSS). As Assistant Professor at McGill Department of Psychiatry, she teaches a course on mental health services and policy. She also has a cross appointment in the McGill School of Social Work. 2008 Merit Grant, EJLB Foundation ($25,000). 2004 Awarded Best Abstract, European Network for Mental Health Service Evaluation Conference London, England. Spagnolo J, Champagne F, Leduc N, Melki W, Piat M, Laporta M, et al. "We find what we look for, and we look for what we know": factors interacting with a mental health training program to influence its expected outcomes in Tunisia. BMC Public Health. 2018;18(1):1398. Thaler L, Freiwald S, Hodge CP, Fletcher É, Cottier D, Kahan E, et al. A Tertiary-Care/Primary-Care Partnership Aimed at Improving Care for People with Eating Disorders. Community Ment Health J. 2018. Piat M, Seida K. Supported housing for persons with serious mental illness and personal recovery: What do families think? Int J Soc Psychiatry. 2018:20764018806928. Thaler L, Freiwald S, Hodge CP, Fletcher É, Cottier D, Kahan E, et al. Correction to: A Tertiary-Care/Primary-Care Partnership Aimed at Improving Care for People with Eating Disorders. Community Ment Health J. 2018. Spagnolo J, Champagne F, Leduc N, Melki W, Guesmi I, Bram N, et al. Tailoring a training based on the to Tunisia: process and relevant adaptations. Glob Ment Health (Camb). 2018;5:e17. Piat M, Sabetti J, Padgett D. Supported housing for adults with psychiatric disabilities: How tenants confront the problem of loneliness. Health Soc Care Community. 2017. Piat M, Seida K, Sabetti J, Padgett D. (Em)placing recovery: Sites of health and wellness for individuals with serious mental illness in supported housing. Health Place. 2017;47:71-79. Piat M, Sofouli E, Sabetti J, Lambrou A, Chodos H, Briand C, et al. Protocol for a mixed studies systematic review on the implementation of the recovery approach in adult mental health services. BMJ Open. 2017;7(8):e017080. Nelson G, Caplan R, MacLeod T, Macnaughton E, Cherner R, Aubry T, et al. What Happens After the Demonstration Phase? The Sustainability of Canada's At Home/Chez Soi Housing First Programs for Homeless Persons with Mental Illness. Am J Community Psychol. 2017;59(1-2):144-157. Spagnolo J, Champagne F, Leduc N, Piat M, Melki W, Charfi F, et al. Building system capacity for the integration of mental health at the level of primary care in Tunisia: a study protocol in global mental health. BMC Health Serv Res. 2017;17(1):38. Piat M, Briand C, Bates E, Labonté L. Recovery Communities of Practice: An Innovative Strategy for Mental Health System Transformation. Psychiatr Serv. 2016;67(1):10-2. Nelson G, Macnaughton E, Curwood SE, Egalité N, Voronka J, MJ Fleury, et al. Collaboration and involvement of persons with lived experience in planning Canada's At Home/Chez Soi project. Health Soc Care Community. 2016;24(2):184-93. Piat M, Pearson A, Sabetti J, Steiger H, Israel M., Lal S. International training programs on eating disorders for professionals, caregivers, and the general public: A scoping review. J Eat Disord. 2015;3:28. Piat M, Boyer R, MJ Fleury, Lesage A, O'Connell M, Sabetti J. Resident and proprietor perspectives on a recovery orientation in community-based housing. Psychiatr Rehabil J. 2015;38(1):88-95. Nelson G, Patterson M, Kirst M, Macnaughton E, Isaak CA, Nolin D, et al. Life changes among homeless persons with mental illness: a longitudinal study of housing first and usual treatment. Psychiatr Serv. 2015;66(6):592-7. MJ Fleury, Grenier G., JM Bamvita, Piat M, Tremblay J. Adequacy of help received among individuals with severe mental disorders. Adm Policy Ment Health. 2014;41(3):302-16. Piat M, Polvere L.. Recovery-oriented Mental Health Policies: Implications for Transformative Change in Five Nations. In: Nelson G., Kloos B., Ornelas J., editors. New York, NJ: Oxford University Press; 2014. Piat M, Polvere L., Kirst M., Voronka J., Zabkiewicz D., Plante M., et al. Pathways into homelessness: Understanding how both individual and structural factors contribute to and sustain homelessness in Canada. Urban Studies. 2014;52:2366-2382. Chen S-, Krupa T, Lysaght R, McCay E, Piat M. Development of a recovery education program for inpatient mental health providers. Psychiatr Rehabil J. 2014;37(4):329-32. Nelson G, Stefancic A, Rae J, Townley G, Tsemberis S, Macnaughton E, et al. Early implementation evaluation of a multi-site housing first intervention for homeless people with mental illness: a mixed methods approach. Eval Program Plann. 2014;43:16-26. Piat M, Boyer R, Cloutier S, MJ Fleury, Lesage A. Can J Commun Ment Health. 2012;31(1):67-85. Piat M, Sabetti J, MJ Fleury, Boyer R, Lesage A. "Who believes most in me and in my recovery": the importance of families for persons with serious mental illness living in structured community housing. J Soc Work Disabil Rehabil. 2011;10(1):49-65. MJ Fleury, Piat M, Grenier G., JM Bamvita, Boyer R, Lesage A, et al. Components associated with adequacy of help for consumers with severe mental disorders. Adm Policy Ment Health. 2010;37(6):497-508.